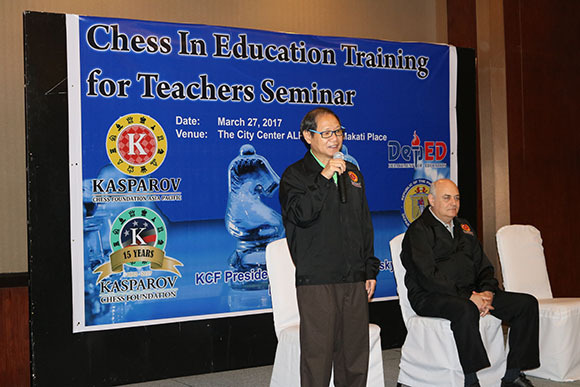 In conjunction with the Kasparov Chess Foundation’s 15th Aniversary Celebrations, the Kasparov Chess Foundation Asia-Pacific undertook the organization of five events in five Asian countries for the promotion of Chess in Education to be done in partnership with National Chess Federations and their respective Ministries of Education (or Education Departments). 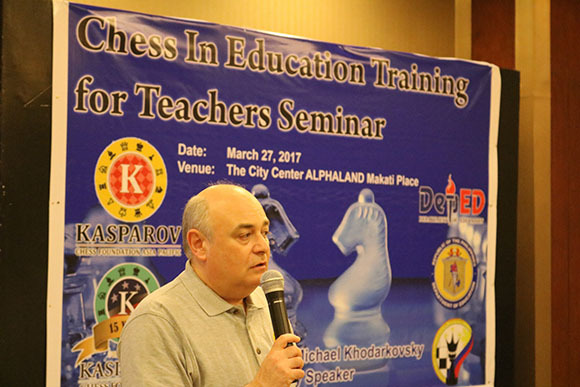 Michael Khodarkovsky, FIDE Senior Trainer, and the captain and coach of numerous USA national teams, and who is also President ofthe Kasparov Chess Foundation, agreed to be the principal speaker in the Chess in Education seminars and workshops. 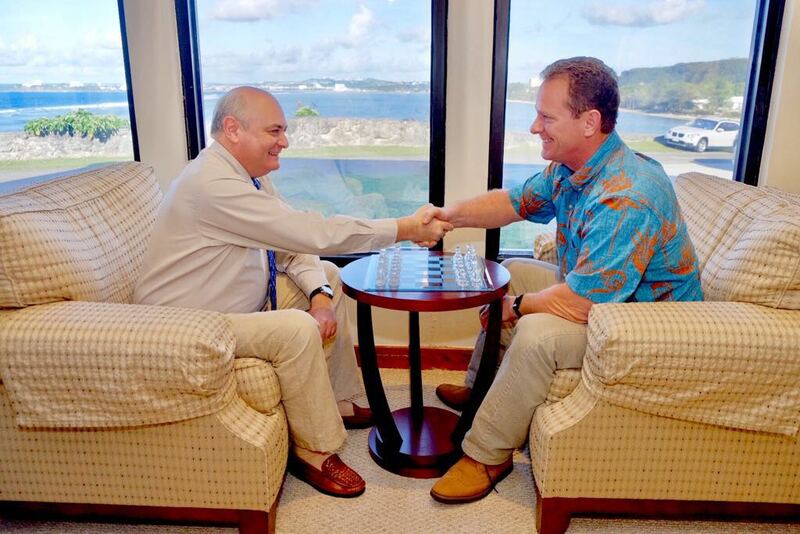 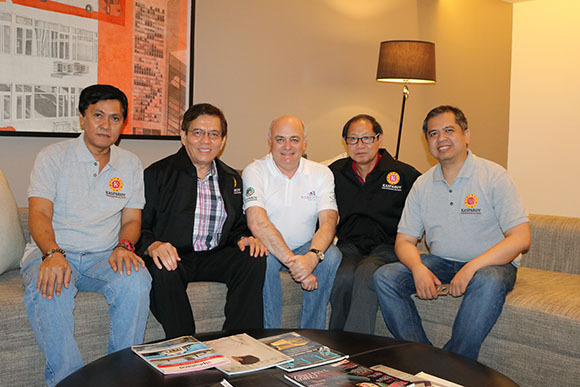 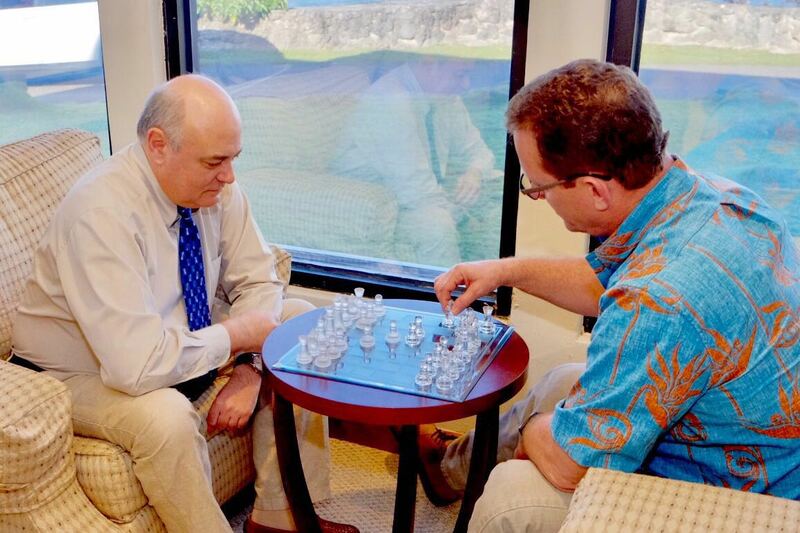 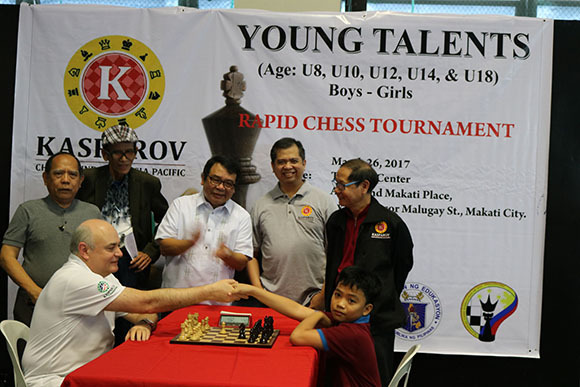 On 22 March, Khodarkovsky kicked off a four-country visit, starting with Guam and on 25 March landed in Manila where he was met by Ignatius Leong, Director of Kasparov Chess Foundation Asia-Pacific and Red Dumuk, Executive Director of the National Chess Federation of the Philippines (NCFP) together with his predecessor Grandmaster Jayson Gonzales and Project Manager Peter Long. 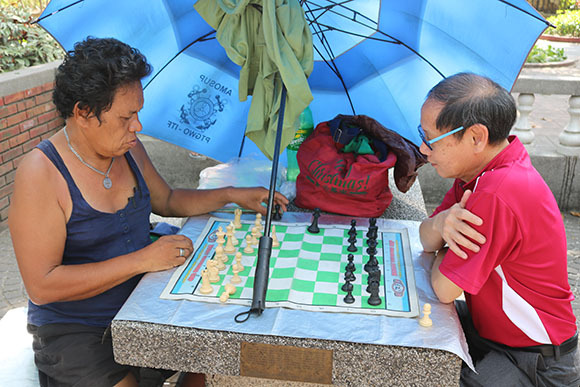 True aficionados use the King’s Gambit, of course! 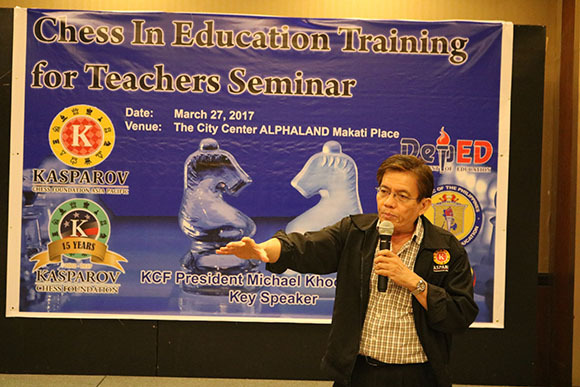 The Lt. 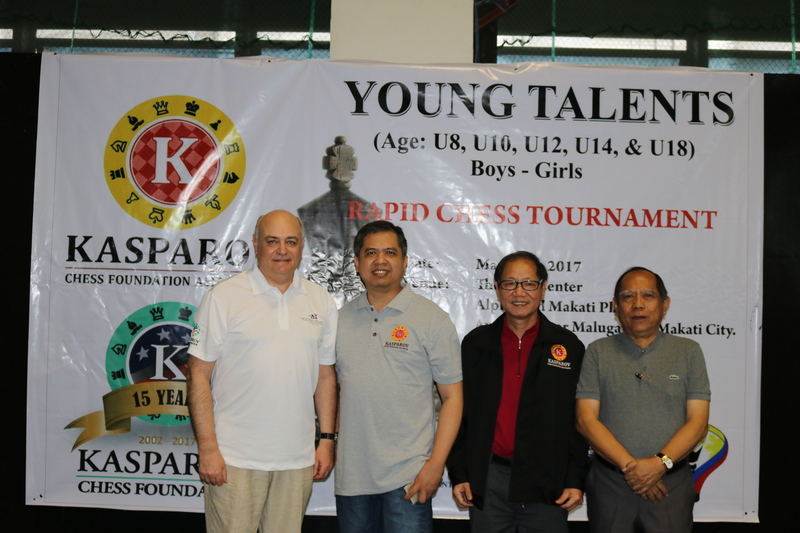 Governor is a great support of the inclusion of chess in the schools, one of the many goals of this South East Asian tour. 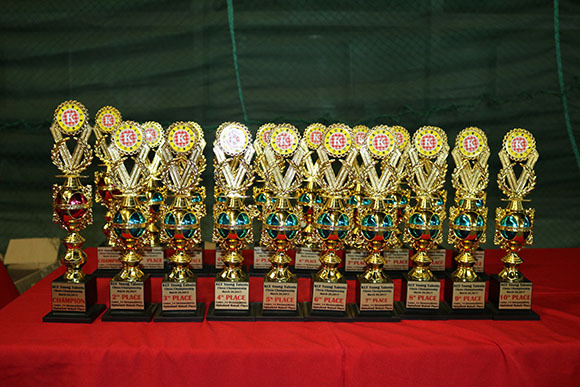 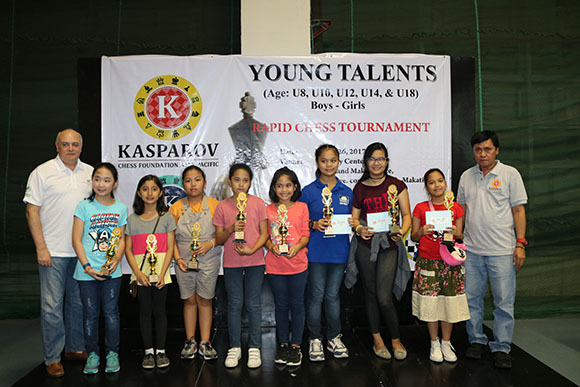 700 PARTICIPANTS IN YOUNG TALENTS AGE-GROUP RAPID CHAMPIONSHIPS! 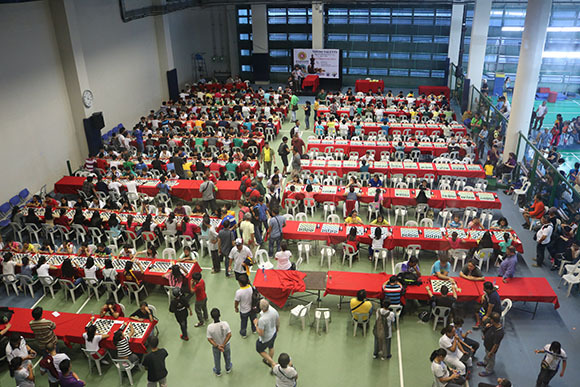 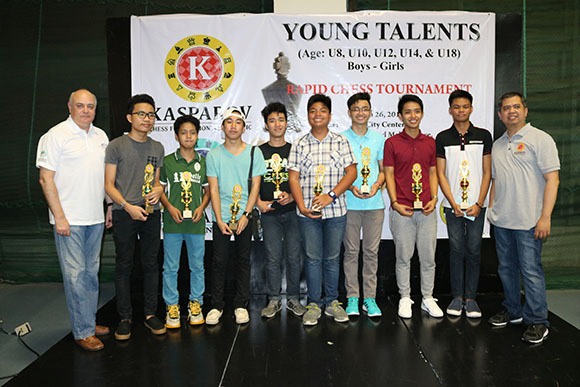 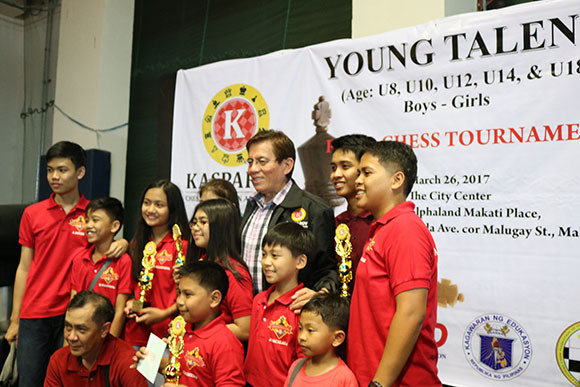 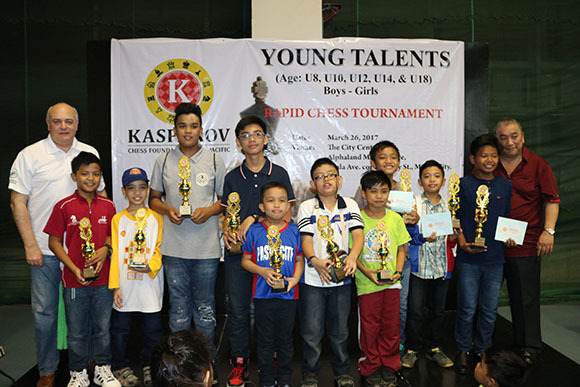 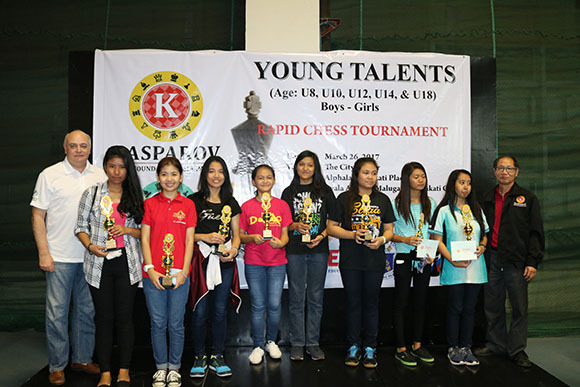 The next day, 26 March, saw no less than 700 young talents participating in the Young Talents Rapid Chess Tournament which was held at Alphaland Makati Place. 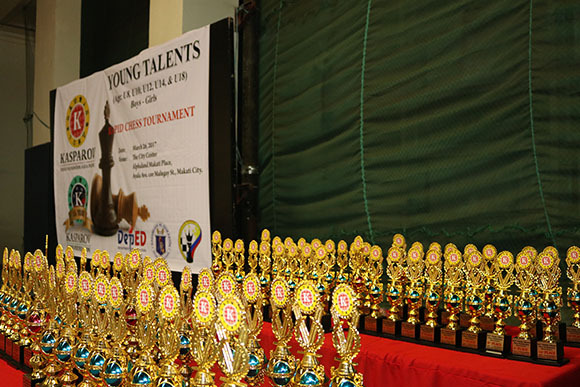 Both officials and staff of the NCFP were present to help make the event a success and yet, due to space constraints, more than 200 entries could not be accepted! 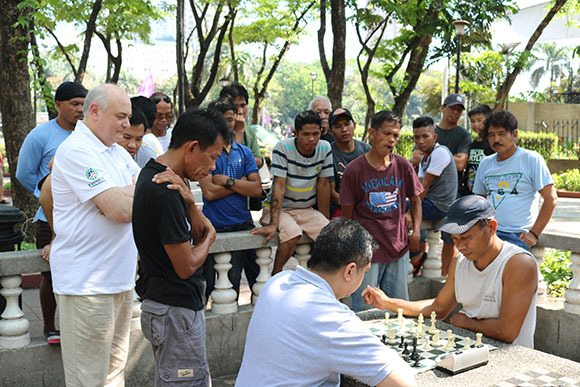 While waiting to give away the prizes, it was decided to visit Rizal Park and of course there was chess! 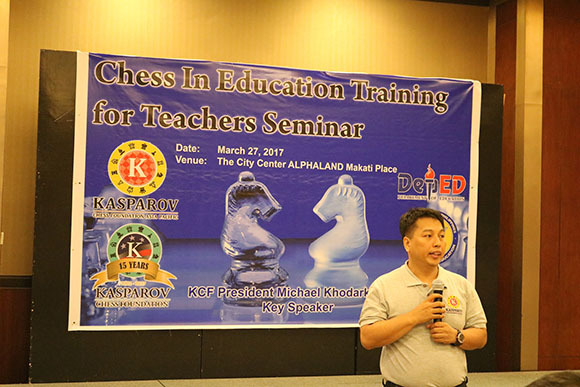 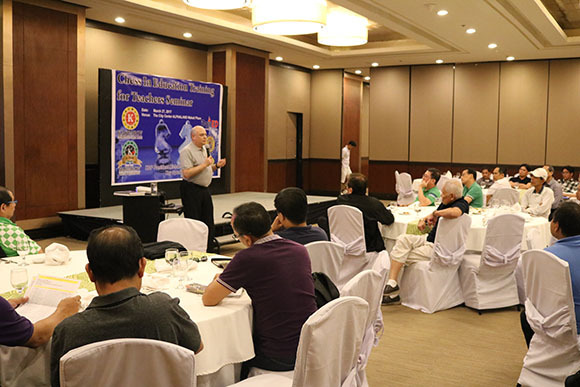 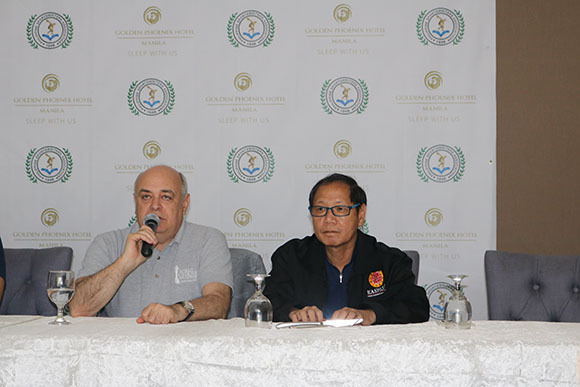 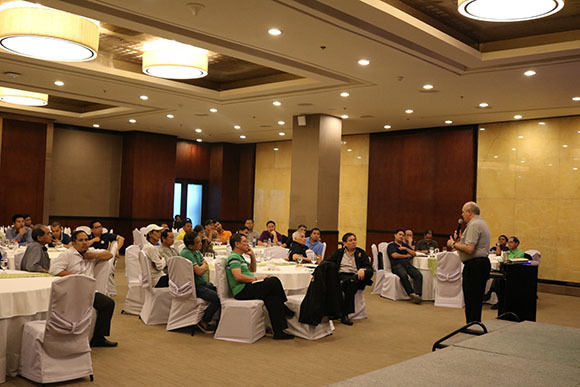 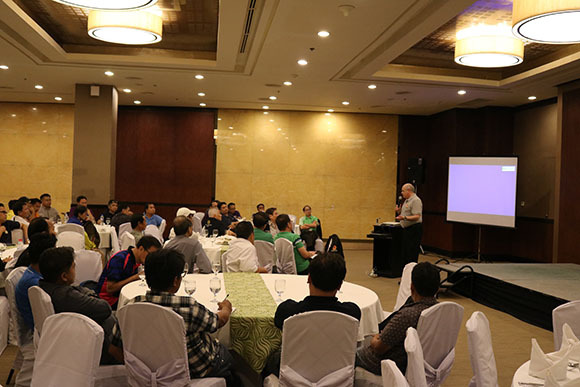 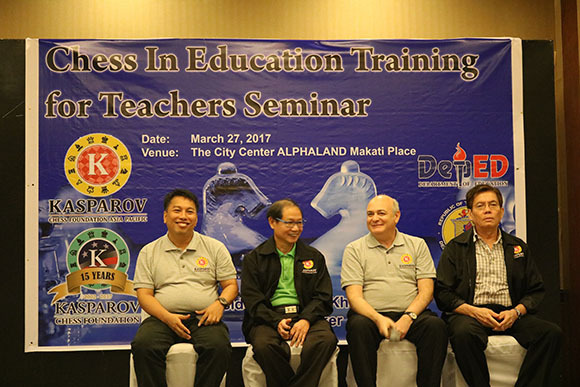 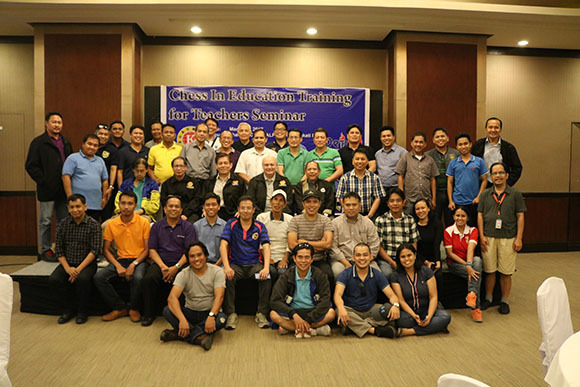 The Philippines Department of Education enrolled some 30 teachers in the Chess in Education Seminar for 27 March and they were joined by members of the Professional Chess Trainers Association of the Philippines.